I truly believe the people you meet in your life are crossing your path with purpose. What? Pediatric Strokes? I never heard of such a thing. I contacted Lauren, Jillian's mother, and asked her more. If I didn't know about it, I knew there were more moms that should know about it and Lauren graciously sat down with me and took the time to share more about Jillian and her experience with a pediatric stroke. Jillian & Julia were having a "Purple Friday" in their K5 classroom and Lauren was bringing in a purple treat that the kids were very excited about. Mrs. Olson kindly allowed me to join in on the day and learn a little more as well. "What is Pediatric Stroke?" Can anyone raise their hand and share with us?" It was obvious Mrs. Olson had taken the time to teach and help the students understand Jillian's special needs in the classroom and they were all very excited to have a day just for her. "Its when your heart and your body may not be communicating." This and much more came from the brilliant kindergarten minds as Mrs. Olson called on anxious hands in the classroom. Here are some more facts from www.CHASA.org & please note the site referenced by me in the video is WWW.CHASA.ORG! I stand corrected & my apologies! 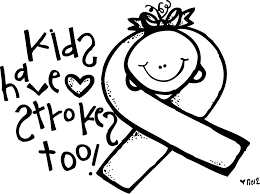 While I do realize this blog barely scratches the surface on how much more there is to know, I am still in the process of learning more about Pediatric Stroke and spreading more awareness of it, please take the time to do so as well. Like I said in the video, when my Cameron was having "feveral seizures", I first processed it as a "stroke" and my family said, "no way do kids have strokes Connie". Be aware of this, they do, and the sooner the right resources are found, the sooner the child can move forward living a stronger, healthier life. Lauren & I are both very blessed to have our kids attend such a great school with all the help, education and tools our kids need for a better tomorrow. Especially for special teachers that have helped Jillian on her journey like Mrs. Kasar & Mrs. Buck that take the time with her one on one to achieving her many goals. I'd like to thank Lauren for her time & sharing this journey with us, and Jillian for being the fun loving friend to my Julia in their Kindergarten class with more fun for future years to come! To Mrs. Olson, always the kind, loving teacher that I've been thankful to have for 3 out of my 4 kids so far! Thank you so much for sharing your classroom with us to interview and for all you say and do with our children everyday. Mrs. Olson was also a featured Mom sharing her journey of Breast Cancer with us, definitely a mom of #strength #courage #love & more! Read more of her courageous battle @ STRENGTH from Aug. 6, 2014 Post. 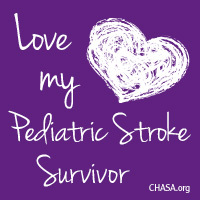 Stay Strong Moms, Stay the Course, and help us spread the Pediatric Stroke Awareness together! Like their Facebook page for current, up to date events and opportunities to get involved! 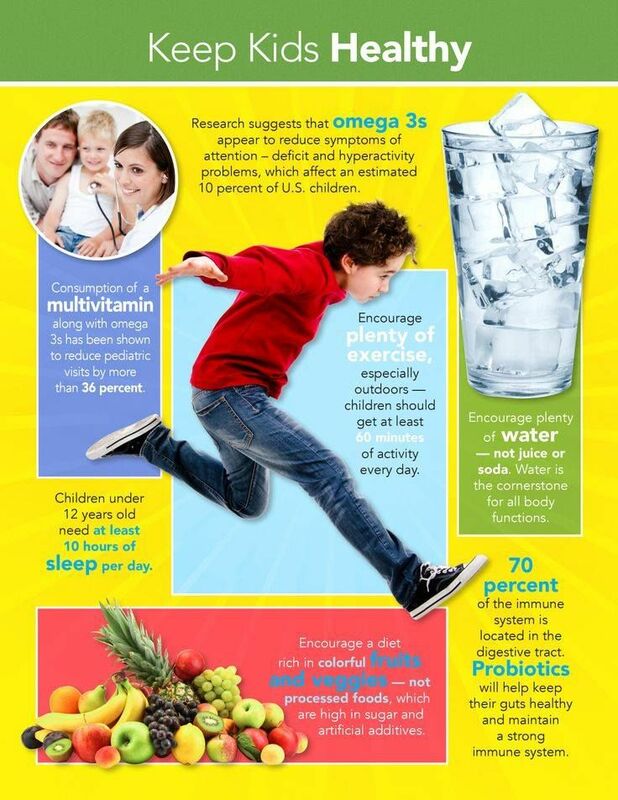 Great Brain Power Food for our children that I love to share is a DNA Miracles Omega 3 Supplement. Please take the time to learn the benefits of this great tasting product and why Omega is so important for our children today. No fishy taste; great fruit flavor! 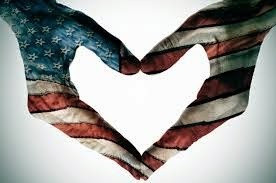 Of all the thoughts to write about on this very special Memorial Day, no words can express enough to thank the people that have served for our country and their families that have sacrificed even more. 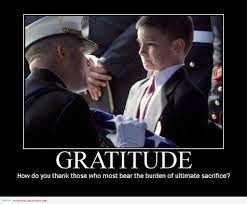 Embrace the ones closest to you and celebrate this 3 day holiday weekend safely but never, EVER, forget our true heroes. Below is a video I came across from a year ago. It is well worth the share to show how powerful history is to our next generation and how we cannot forget what Memorial Day really represents. all of those we have lost & those that continue to do everything it takes for our freedom. I've never had the experience to hear this, but I did just read an article explaining to parents, that your kid is not going pro and the chances of your kid ever going pro are pretty slim to none. So let me share this with you, “Your kid is going Pro, until you both decide otherwise.” Why would you want them to think any differently? We see parent’s reactions not only by plays made on the field or a stumble in the sport by their child, but also when their child gets hurt. Kids will get injured, unfortunately that’s part of the territory regardless what sport they play. When they are injured, some parents naturally will ask, “When can they play again?” or “How long will they be out?” Even I have said, “Ice it up, you’ll be fine and get back in the game” before getting a professional opinion. Not because I think he or she will ruin that “Pro” future, but mainly because we want them to always do their best and see it to the end. We ask about the next time they can play because we want to know, as a family, will our player be out for the season? We are thinking, planning, wondering what to do next; medical appointments, therapy, scheduling, letting the team know their teammates status, how serious is this, is there something more emotional or physical that we need to be aware of. From what I have seen, an injured player, is still part of that team, unable to play, but at the game, cheering them on. When we commit to playing a sport, it is an entire family’s commitment. So natural reactions of when our kids get hurt, is not, in most minds, will this ruin their future PRO career, it’s more of, what’s our next step to move forward with this sport or without and what do we need to do to help our child recover safely? And yes parents, THAT IS IMPORTANT! Our kids are impacted today more than ever with negatives all around them, social media, bullying, depression, suicides and much more facing today’s society. As a parent, running around from practices to games, endless nights of laundry, late dinners, packing coolers for weekend events, living out of the car, going from work, to and from the games, sitting outside rain or shine for hours. This, not including our volunteer coach’s life; endless calls, organizing and planning for team events and strategies, in constant preparation mode, leaving home to work to the field and crashing in bed at night from a long day. What is it all for? For. Our. Kids. By. Our. Choice. It’s a choice of time commitment or an option of trouble with no direction for our kids and staying “plugged in” with no activity or social interaction at all. So we make the sacrifice with the busy schedules day in and day out. And yes, if our kids get injured and we need to ask how long until they play again, it’s with great concern of knowing what kind of day we will have tomorrow and the day after that and the next. Whether it be a team sport, or individual, it’s what our kids are involved in that makes up a large part of who they will become. It is their “career” as a student; teaching them to be on time, to practice and get the end result of what they've been working hard for, to be prepared with equipment, uniform, and all they need to participate in for the event to be ready. It teaches them time, structure, team building, relationships, personal leadership, qualities that help you grow to be the person you were meant to be and like some teams, priceless friendships & memorable direction from coaches. Yes, you as a parent may know exactly what I’m talking about. Of course, this all goes without saying, grades are first priority, bad grades =no game. Playing great in their sport leads to scholarships for their future. No matter how big or small, every scholarship helps and being involved in team / individual sport activities makes it possible. So again, yes! If injured from a game, I’ll ask if & when my child can play again to continue the student/ career responsibility, with the heart of what do we need to do to recover as quick as possible from the injury. When do you let the kids know they are NOT going PRO? When you as a parent and your child make that decision together that whatever sport they are doing, is not for them anymore and they stopped having fun. If in their heart they really DO want to go pro, they’ll learn & do everything it takes to make it happen, and then its up to the coach’s to decide with them. This is not about quitting, giving up early or being lazy, it’s about finding what they love to do, giving it their best effort, your 100%, making it thru the struggles and knowing/ seeing they are giving it the best shot possible. When, then, as a parent, you still see your child has lost interest and its effecting more in his life than impacting positively, then its time to let it go, and together, realize, you CHOSE NOT to go pro. Until then, you bet they’ll go PRO and they will walk out on that field or dive into that pool or walk onto that mat or enter that event, with the confidence, strength and courage of being PRO, giving it the best shot they got, and I don’t ever want my child thinking any different or attempting any less. I end with this story; A child started T-ball, could care less on the field, picking at the dirt like most kids. Some parents were bored out of their mind, or chatting with others, or reading a book, until it was their child’s turn out of the 15+ up to bat. Every week, for that hour, this entire family, siblings and all, would watch, again, until it was their child’s turn to bat, did any of them get excited, this not really including the child up to bat. Then the child was old enough for Little League. The entire family would go once again, every week, siblings and all, watch the team win, lose and this same child going thru the motions, again; no desire to be there, very obvious. Then another Little League year of the child going to practices, now with familiar friends and excited to be out with the team, some were in his class, some new friends from another school, but still, not a lot of excitement when playing outfield or up to bat, just having fun being with other kids. Then… day after day, Dad started practicing in the back yard with this child. Mom hears some yelling one day and looks out the window. Dad yelling at son, “Give it your all! Come on! You’re not even giving it your best effort!” The son almost in tears. Mom was mortified this son was getting demolished by his dad and the entire neighborhood was hearing it but Mom let them both argue it out, leaving it between the both of them. This continued for a little while, Dad believing and son never giving up. He wanted to see his son give some effort, it didn't matter in what but at that moment, Dad just wanted to see him give some effort, any effort and he was going to push until he saw exactly that. Mom had to let this one go and let it be worked out Father/ Son. 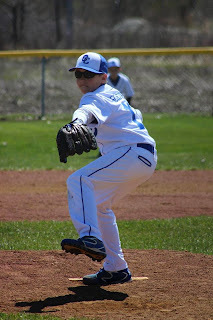 Now, it was another year of Little League, son was starting to learn different positions, experiencing more than just the outfield prior season in the same position that he had no interest in, an enthusiastic coach teaching team impact, practicing and doing his best with Dads tough love every day in the back yard, a smile and effort on and off the field. What was your biggest accomplishment in Elementary School? "Becoming a better baseball player and being the best Pitcher I can be." As a parent, was it worth it? You bet! Did he ever get injured? Yes, he did. Did we ask when he can play next? Yes. Why? Because we needed to know the next step for our family and what tomorrow would bring. Did being PRO during any of this time cross our minds? Absolutely NOT, but we never told him otherwise either. We never let him give up when he wasn't giving it his all (especially his Dad). If you are a coach, thank YOU for doing all you do with our kids to make a difference in their lives (and especially THANK YOU to all the coach's in my own children's lives) and if you are a parent that can relate to a crazy, endless living family schedule, I know you agree that its worth it and wouldn't want it any other way. A disclaimer to the loyal parent fans every day, every year, in and out… leave it to the coaches to criticize and critique. Trust them to do their jobs; helping our kids make improvements & adjustments at practices or on/ off the field. Leave the calls to the umps and the plays to the team. We are their fans, there at that moment to encourage and build confidence. Don’t embarrass your child, or their team, by playing coach or ump while in the stands (I call it the back seat coaching) and don’t worry about what the other team is or is not doing. Be a "Focused Fan". 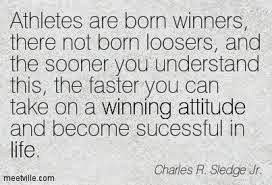 Cheer on your team during the good games and the bad games and keep moving forward developing their PRO ATTITUDE!